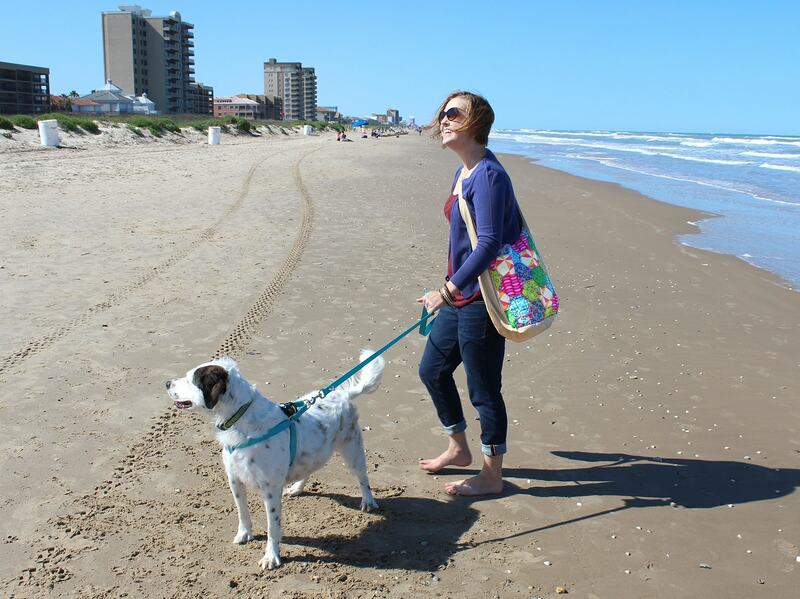 When I found a canvas hobo bag on clearance at the craft store I knew that I wanted to make it the perfect beach bag. 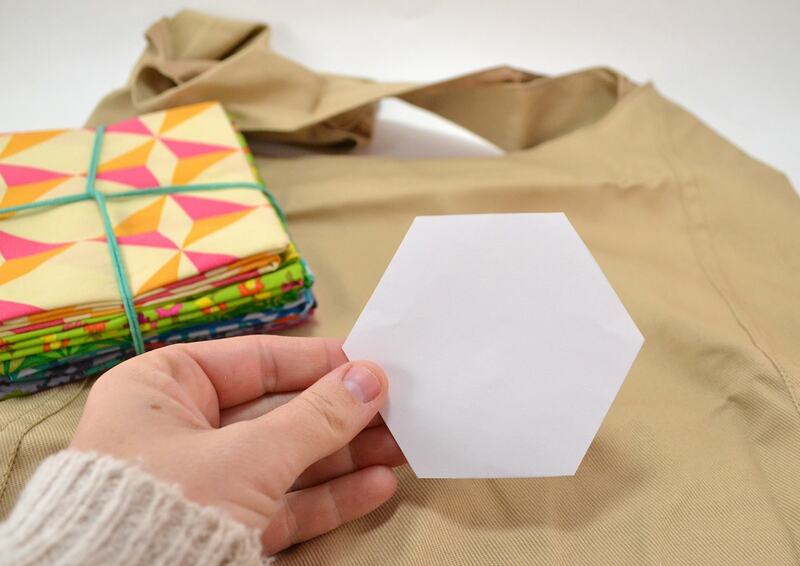 Depending on the size of your bag and how much of it you want to cover create a hexagon cut out from paper. I cut out several sizes and then decided which one made the most sense with my bag. 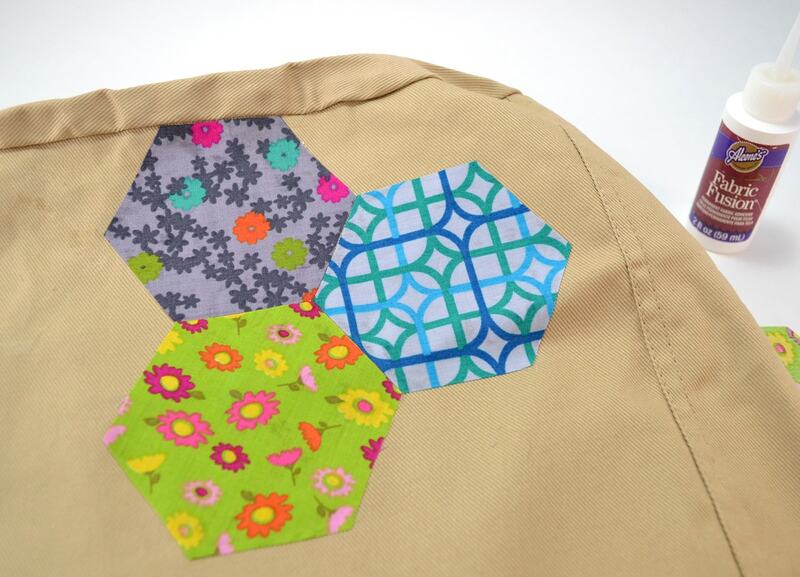 Use your paper cut out as a template to trace the hexagon shape onto the backside of your fabric. 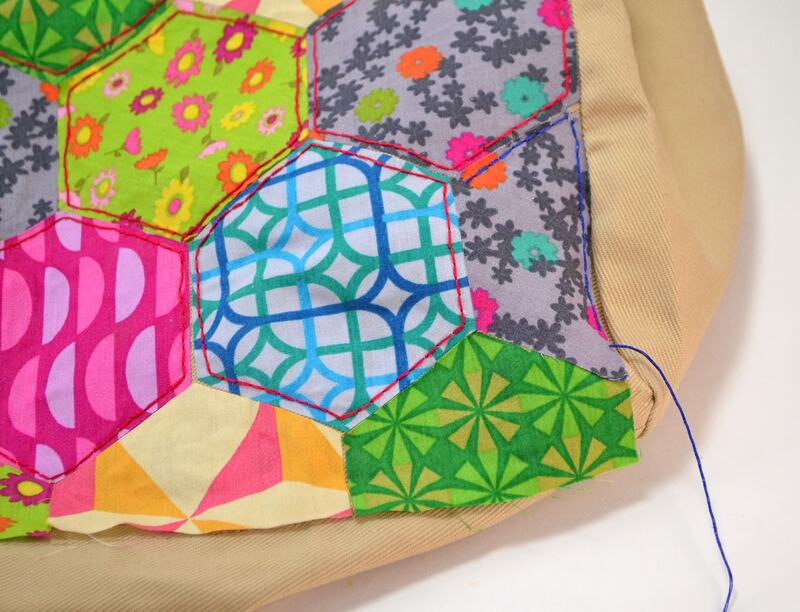 Estimate how many hexagons you'll need and then cut out just a few more to be safe. Note that on the bottoms and sides you might only need to use part of a hexagon (I worked out a size of hexagon so that I could use half pieces). 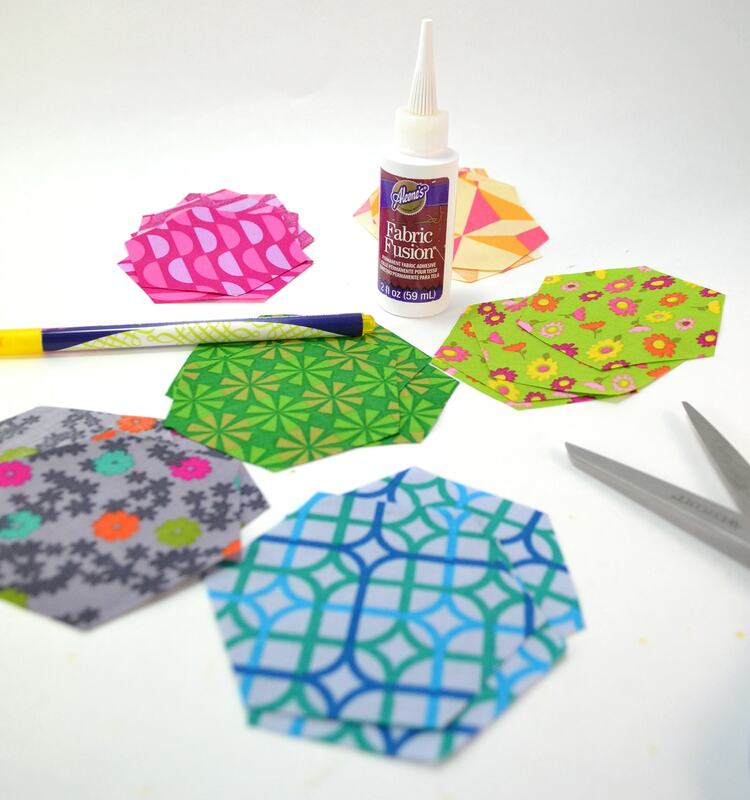 Running glue all over the backside of your hexagons, begin gluing them into place on your bag. 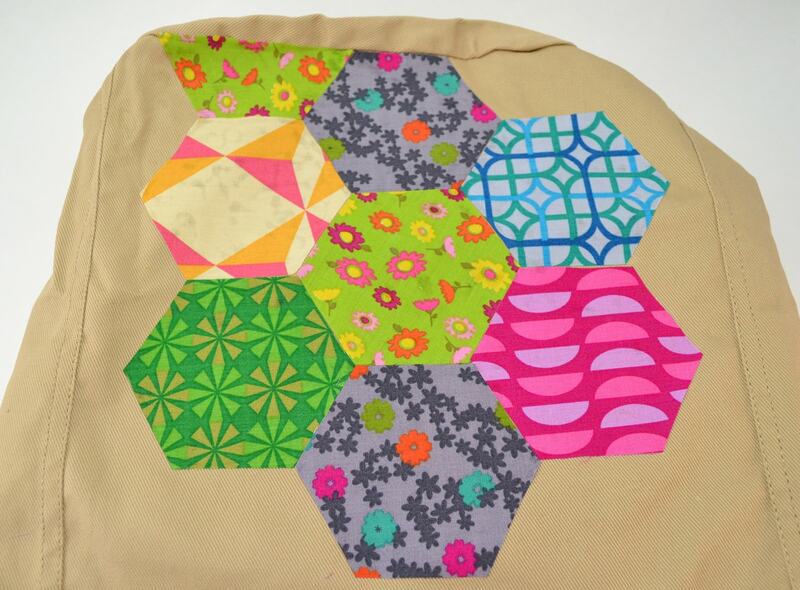 I left the edges of my hexagons free so that when I wash my bag they will fray and age for a faux vintage look! You can do the same, or run the glue all the way to the edges to seal them from fraying and attach them down onto the bag completely. 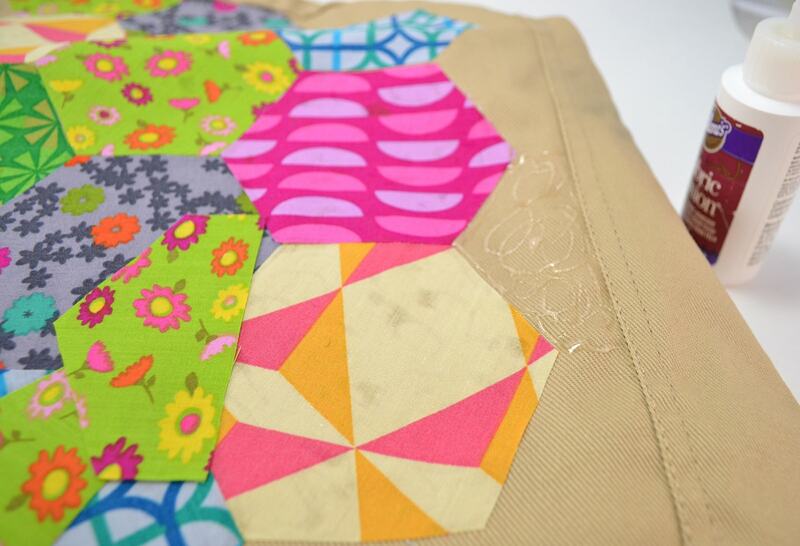 Continue covering your bag, cutting hexagons where needed to fit the design. My bottom pieces were half hexagons. 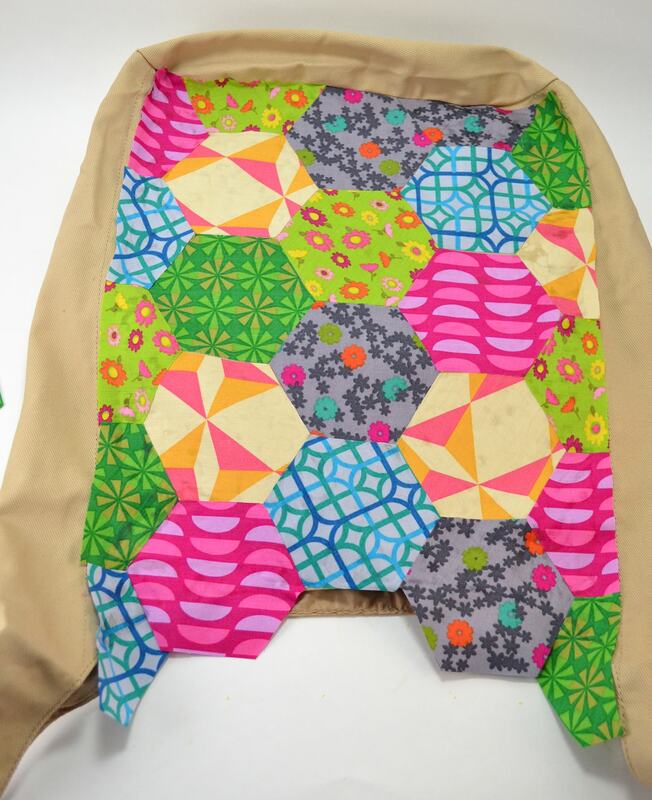 When you get to sides and edges it is easier to place the glue onto the bag directly and then place your hexagon down onto the fabric. 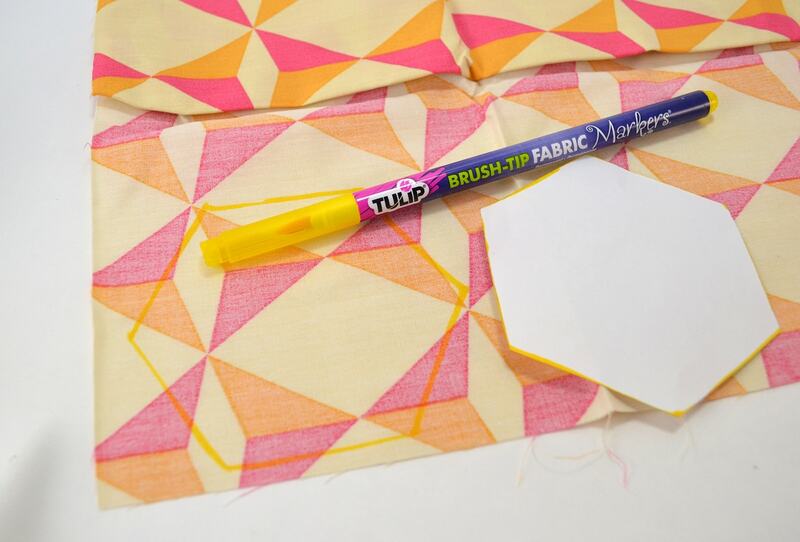 This ensures you don't accidentally glue the fabric onto places you don't want it to be. Now when I was a kid my favorite quilt was a super old rag quilt. There were hardly two squares the same fabric and they were all stitched down with varying colors of thread. It was truly a rag quilt. Anything that didn't have a use got put to good use. Most of the stitches were red. Though my fabric had very little red in it I went ahead and stitched red and some royal blue in homage of that favorite quilt! 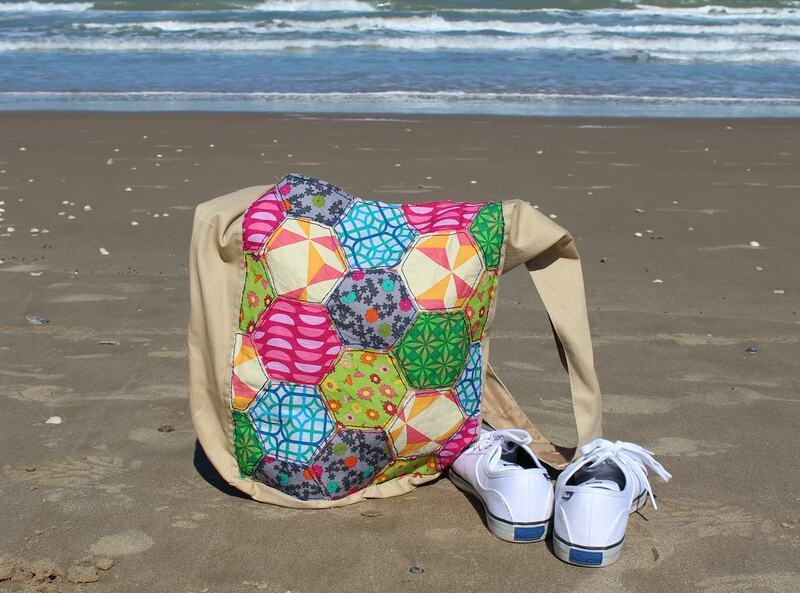 This step is totally optional, as the squares are permanently applied to the bag already. Should you like the look of the stitching, a simple backstich around each hexi will add to this perfectly quilted boho look! 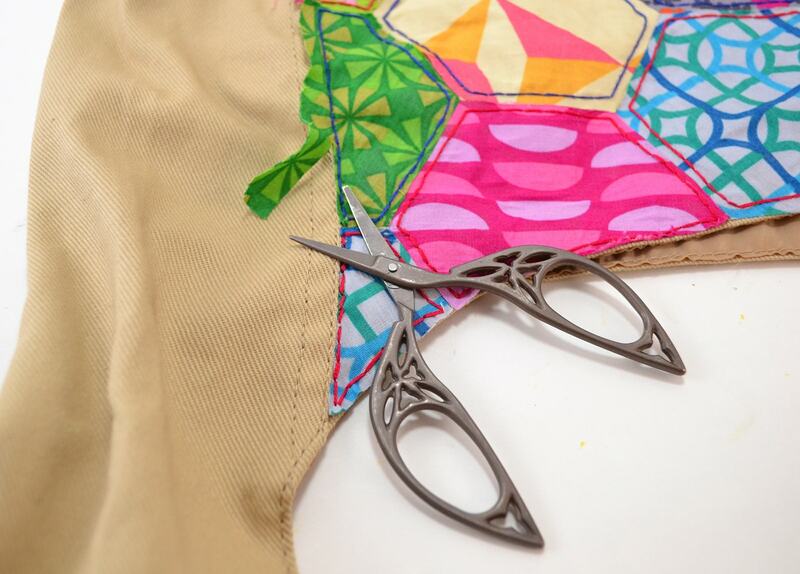 Once the glue is dry and/or your stitches are complete trim up the excess fabric that overlaps any edges. Once my bag was complete I stuffed it full of towels and my camera. 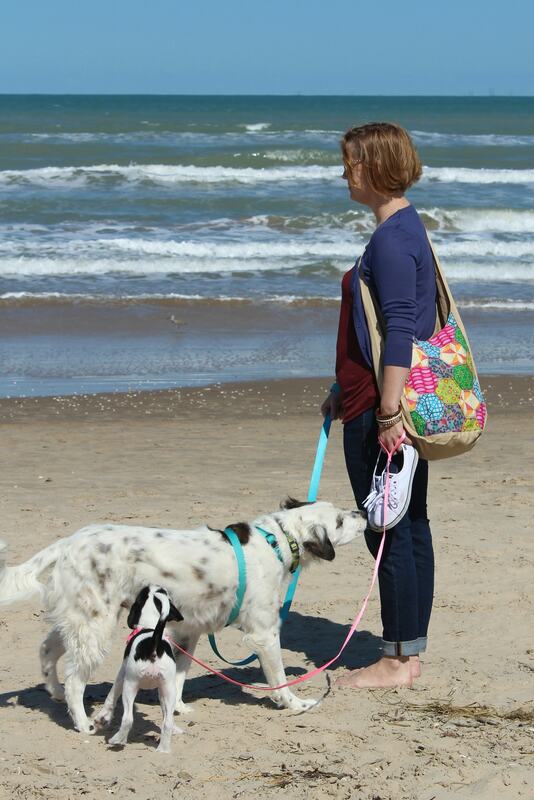 We strapped the harnesses on the pups and it was time for the beach! Doesn't it look fab with my super casual beach going outfit? 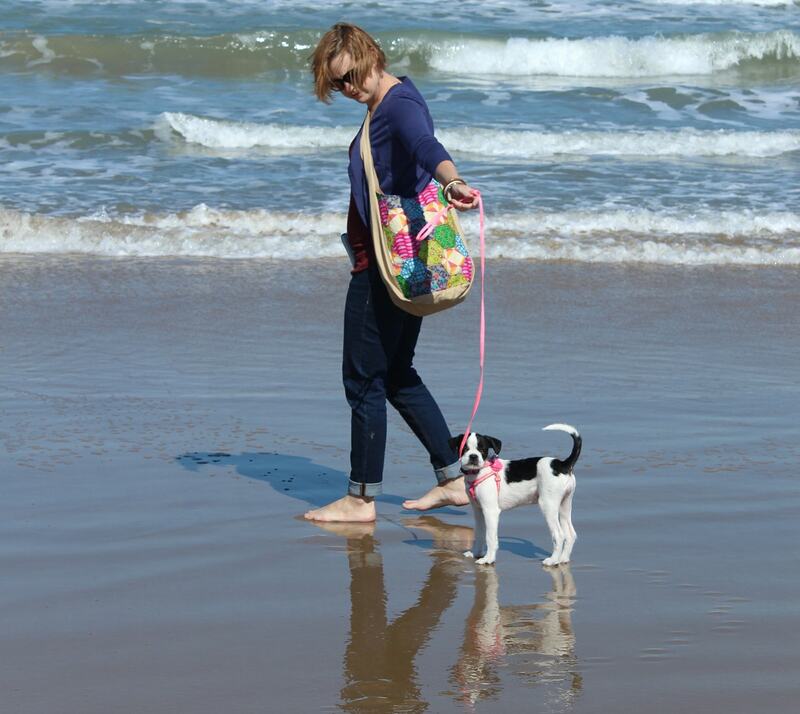 It was my puppy's first experience and she loved the beach but was quite leery of the tide. Isn't she cute? 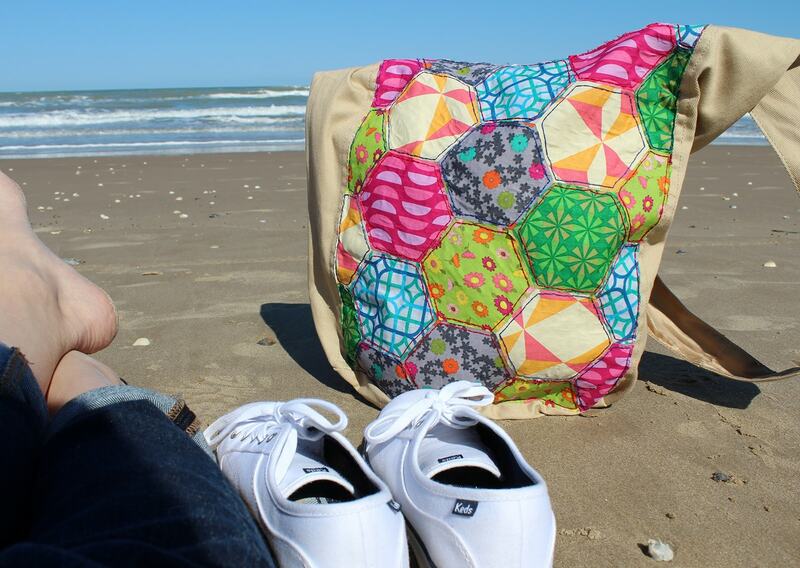 It's truly the perfect size for an afternoon of sea breeze!